For a large number of organizations, figuring out the most efficient way to field customer inquiries, complaints, and concerns is a thorny issue that never seems to get resolved properly. For one thing, the responsibility of answering customer calls tends to take key personnel away from more mission-critical tasks. One solution to this perennial problem is to assign the task a low priority—that is, customers get their response when it’s convenient. But this tactic is far from ideal, as customers who feel ignored by a company may simply take their business elsewhere. A more effective step is to create a dedicated help desk. A “help desk” is simply a department staffed by persons who are assigned the task of responding to customers and other entities who need to communicate with a company representative. Help desk staffers, who may work in this department full-time or in addition to other duties, have been specially trained to respond properly to questions and comments from persons attempting to contact the company. They may answer phone queries, respond to emails, chat online via instant messaging, or juggle some combination of the foregoing activities—it all depends on the specific business demands of the company that has hired them. For a variety of reasons—which we’ll examine below—many companies have difficulty maintaining their own in-house help desk department. Fortunately for these struggling organizations, it’s not necessary for them to have an in-house help desk; they can outsource this responsibility to a third-party outfit like Fortune Consulting. A remote help desk, as it is sometimes called, answers inquiries from another location—which can even be in another city or state. Why is this a viable option? Let’s explore the issue in more detail. Once the decision is made to assemble a help desk team, what then? How does the company go about training the personnel who will be responsible for these duties? In many cases, this is highly unfamiliar territory for a business, particularly a newer one that is still striving to get its mission-critical tasks up to speed. Training help desk personnel takes time—and time, as we all know, equals money. Given the inevitable amount of trial and error that will inevitably attend this training period, a company will likely end up spending more money than expected by the time the team has achieved a suitable level of expertise. The company also runs the risk of alienating customers due to the inexperience of the personnel charged with communicating with them. By hiring an outsourced help desk team, however, all of these issues can be neatly sidestepped. A third-party help desk team should have accumulated a substantial amount of experience in the area of responding to queries. Once these professionals have become acquainted with the unique customer service demands of your particular company—which shouldn’t take long—they’ll be able to provide the quick, competent responsiveness that you need. A lot of corporate executives understandably recoil at the prospect of hiring new employees to manage the help desk. Sometimes this can be avoided if the responsibilities ordinarily assigned to a help desk team are manageable enough to be handled by existing staff on an ad hoc basis—that is, personnel can simply carry out these functions when they have time. But this isn’t always feasible, as the amount of communication traffic often demands full-time or long-term part-time personnel to deal with it. That’s where a third-party help desk team comes in. But how does this solve anything? After all, an outsourced help team will not work for free. Keep in mind that in-house employees incur a range of expenses over and above their salary. There are payroll taxes that must be paid, as well as insurance costs and other expenses. By hiring a third-party service, many of these expenses can be avoided. Outsourced workers will not file workers’ compensation or unemployment claims that your business must deal with, nor do they generate company expenses in the form of payroll taxes. You do not have to provide them with a benefit package, either. In short, outsourced help desk services save money in the long run. If you’ve ever had to contact a company to deal with a business matter of some kind, it’s likely that you have at least once encountered a frustrating but all-too-common scenario: You’ve been shunted off to one department after another in an effort to find the right person to field your call. This sort of thing tends to happen with poorly organized outfits where no-one, not even the employees, is really certain who is responsible for a particular business function. They’re not trying to give you the “runaround”—there’s merely a lot of sincere confusion over who can deal with your case. One way for companies to avoid these hassles is to establish a single point of contact to handle customer complaints. That’s what an outsourced help desk can provide: one specific phone number (or email address) manned by a trained professional who knows how to respond to the question or complaint on the other end. Without a dedicated help desk service, the task of communicating with persons outside the company tends to fall on existing personnel. Naturally, this responsibility tends to pull personnel away from other matters, which, in turn, may result in a loss of productivity. Forcing in-house personnel to handle help desk duties can also foster resentment and loss of morale, particularly if these workers did not accept their current positions with the expectation that they would have to shoulder responsibilities of this nature. Spreading workers too thin is seldom an effective business strategy. Luckily, you don’t need to do that—hiring a remote help desk team prevents these complications from arising. Whether you need an outsourced help desk team, help with training your in-house help desk employees, or trained personnel ready to work at your help desk, you can reach out to the professionals at Fortune Consulting. 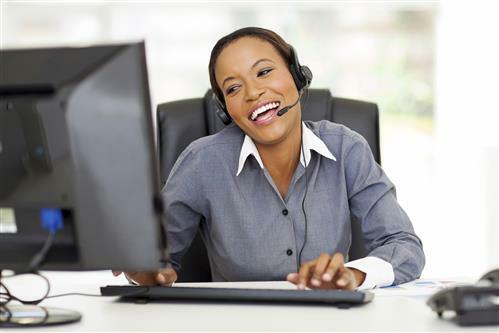 We have years of experience with help desk matters in the IT/telecom industry. Contact us today for a free consultation.